Every time you look into the mirror, do you feel that your skin looks dull, with visible fine lines and signs of ageing? Or are you worried about losing hair before time and there is nothing much that you can do about it? If you find yourself in any such situations, Dr. Amini can effectively solve the problem for you, with a revolutionary technique in the world of Dermatology called PRP – Platelets. Success rates and the non-invasive nature of the technique make it the most desirable option. Today, PRP is gaining popularity not only amongst celebrities and people associated with the show biz industry, but also amongst the general public, who wish to redefine their look. Dr. Amini, believes in giving his patients cutting edge treatments that produce phenomenal results. 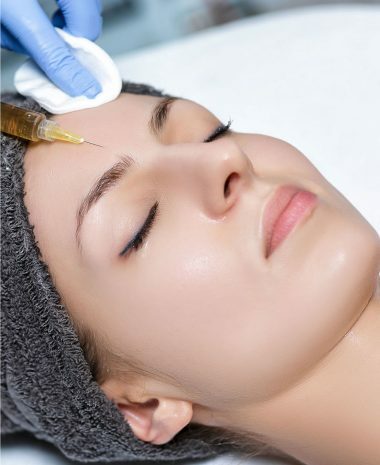 As a master at combining PRP plus Hyaluronic Acid, Dr. Amini helps patients by making the perfect choice that leads to skin firmness and hydration, making it look young and vibrant. Dr. Amini only uses products approved by the Swiss Health Authorities and the FDA, keeping in mind the safety and well-being of his patients. The cost of a PRP treatment depends on various factors, such as the areas to be treated and the number of injections and sessions required. If you wish to get an estimate for treatment, we suggest you meet Dr. Amini for a face-to-face consultation. In Switzerland, PRP treatments are generally covered for rare cases. If your insurance provides coverage, Dr. Amini will assist you with all the paper work.